Edwin Blosser shares his vision for Midwest Bio Systems and how his search for “renewable soils” led him to manufacturing compost turners and humus compost. When Edwin Blosser founded Midwest Bio Systems on February 20th, 1993, he could not have imagined that in 20 years time his company would grow to become a world leader in soil fertility, in manufacturing Compost Turners, ancillary composting equipment as well as in composting technology. In fact, when Blosser, a native of Tampico, Illinois, began exploring sustainable agriculture he never imagined that his quest to “make people healthier,” and help farmers to farm more profitably, would lead him to composting. After a journey of discovery, he founded Midwest with a vision to serve individuals in his local community. Today Midwest has become an international company delivering compost turners to 47 states, 3 US Territories and 25 countries around the world. Blosser set out on a journey to make this vision of “renewable” agriculture, a reality. 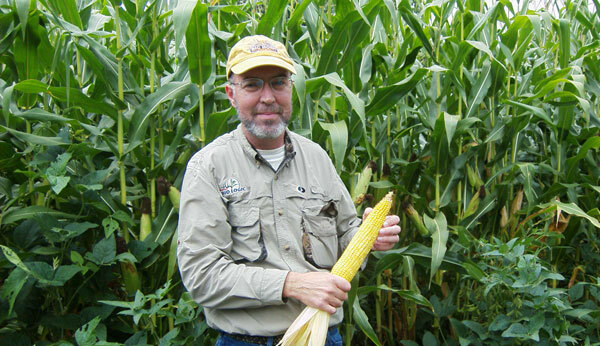 During his seven years of experiential agronomy training he traveled nationally, and internationally, to visit leading experimental farms and to train with soil fertility experts. What Blosser learned during his training is that healthy soils, and in turn, healthy crops, are the key to providing higher nutrition for people, and greater profitability for farmers. Enhancing the health of crops through the soil means that they can be grown with fewer inputs, and be more nutrient dense. A healthy plant can resist attacks from disease and insects requiring fewer pesticides in conventional farming systems, and it can be grown with significantly less water and fertilizer. Note: obviously no pesticides are used in organic farming systems. Growing nutritionally dense food is also important for human health. In recent history food has been losing nutritional value, Blosser explained. “People's health is critically endangered today, much more so than 20 years ago. In fact there is documented data in what the nutritional value was both around 40 and 60 years ago showing a dramatic decline in the minerals in the produce. It is our vision to improve the world's ecological and environmental health, and most of all people's health,” he said. This was Blosser's vision for “renewable agriculture:” Healthy soil, healthy crops, healthy people. It wasn't long before Blosser's work led him to focus on enzymes as a key to soil and plant health. “As we were trying to enhance our ability to help farmers renew their soils even better after my seven years worth of training, I ended up seeing how enzymes made all the difference in the world for certain plants to really produce a lot more for less expense,” he said. Enzymes are the product of living organisms, and enzymes produced by beneficial soil microorganisms can cause biochemical reactions that can amplify plant growth. “An enzyme has two main purposes: It solubilizes minerals or nutrients, whichever term you use, and it stimulates beneficial soil microbes to multiply and increase,” Blosser explained. For several years Blosser experimented with different types of enzymes on his farm, both in the open field, and in the greenhouse. “I'm glad I was young then because I was in a cram shop, you know, cramming it all in and trying to make sure that if I didn't know something, I would find out. And a lot of times the way I found out was by experimenting,” he recalled. The search for more answers led Blosser to Siegfred Luebke, an Austrian doctor who had single-handedly identified thousands of enzymes produced by the microorganisms found in healthy soils. Luebke used his knowledge to improve the soils on his farm, and he was reportedly achieving amazing results. Blosser knew he needed to see Luebke's research firsthand, and so he planned a trip to Europe to visit the Luebke farm. What he saw there forever changed the trajectory of his life. When Luebke purchased his farm in 1972 he began improving his soils by using cover crops and other well-known sustainable agriculture practices such as regular composting. In one field, where he performed careful testing to track the impact of his farming practices, he started with soils that had an organic matter content of 2.6 percent in 1972. Cover-cropping, composting and other sustainable farming practices brought this number up to 2.8 percent in 1982. But then Luebke began making and applying humus compost and he saw his organic matter jump to 16.5 percent in 1992. This was the year Blosser visited the Luebke farm. “I was able to go to that soil and dig down with my hand, all the way down to my elbow, and it was still nice and loose.” This particular field was divided in half with a neighbor back in 1972 when Siegfried purchased the farm; half was owned by Luebke, and the other half by a neighbor who kept farming conventionally. “I went 30 feet over the fence into the neighbor's field, which used to be in the same field when Siegfried Luebke bought it in 1972, and I got down about two or three inches.” The difference was like “night and day,” according to Blosser. “You would have said 'Well this is a different soil type.' It was not a soil type difference; it was actually how the soil changed.” That's when Luebke told Blosser that it all had to do with humus. Humus is a long-chain carbon polymer that is created by specific humus producing microorganisms. 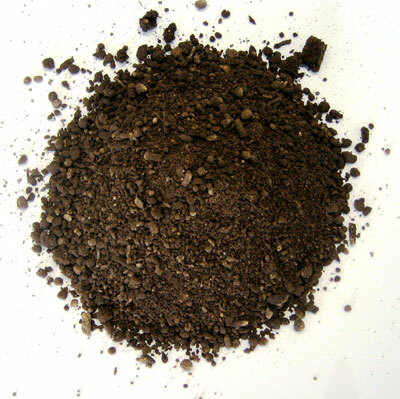 Humus is found to a more or lesser degree in most, undisturbed forest soils around the world. Luebke in late 1981, had come in contact with a scientist from Maryland USA who over a 35 year time span, perfected a technique to re-create humus though a “controlled microbial composting process,” where he inoculated a windrow of high quality compost with special humus-forming soil bacteria. This second stage of the composting process allowed Luebke to create humus, which is what improved the soils on his farm. It wasn't long before Blosser discovered that the imported turners did not withstand the rigors of American operations. Soon the imported machines began breaking down under the stress of a heavy workload. This was very embarrassing to Blosser as he had been instrumental in getting others enthused about getting into composting. Compost turners for the American market needed to be stronger, more durable, and able to process a larger volume of material, faster, he explained. In talking with the European manufacture discussing the issues, they admitted that they likely are not manufacturing the turners to the standards of durability needed for the American market. They then asked Blosser if he would find a manufacturing company that would be interested in having a relationship with them, and be their American counterpart, utilizing a reciprocal business relationship. Blosser then met with several different manufacturers and found out there was some interest, but one thing was clear. They came from a manufacturing point of view, and not from a view point of “manufacturing a turner that assists in making the quality of compost that provides the optimum advantage to the Soil”. In other words, being a mechanical and engineering expert was good, but the future of the compost turners was critically dependent on someone knowing what to focus on when redesigning and improving them. It had to be much more than just a very well-engineered, and the most durable compost turner. It needed to be able to produce the end product results for maximum benefits for the soil, not only in the present but also in the future. That's when Blosser decided he would start manufacturing turners. “We decided, 'Okay, we're going to try to do it ourselves. So my brother and I during the winter of 1992 to 1993, 20 years ago this last February, we built two compost turners. Even though it was a humble start, the machines were capable of producing high quality compost. We had about 600 lbs of excess metal left over,” he laughed. But this small operation which was run on a “shoe string" budget, quickly grew as word of Blosser's new turner spread. “All of a sudden I wasn't only in the soil fertility business; I was in the manufacturing business!” Soon he was selling compost turners far beyond his local community, both nationally and internationally. Today Midwest produces four different models of “Aeromaster” compost turners, and they can be found in 47 states across the U.S. as well as 25 countries plus 3 U.S. territories overseas. Blosser attributes his company's success and sustained growth to its strong focus on soil fertility. Their goal has always been to create the highest quality compost possible. “We are actually soil fertility advisers that help farmers do renewable soil systems; and then we direct our engineering department with that perspective”, he said. In fact, Midwest Bio Systems is the only company manufacturing compost turners that also produces compost regularly, on site. 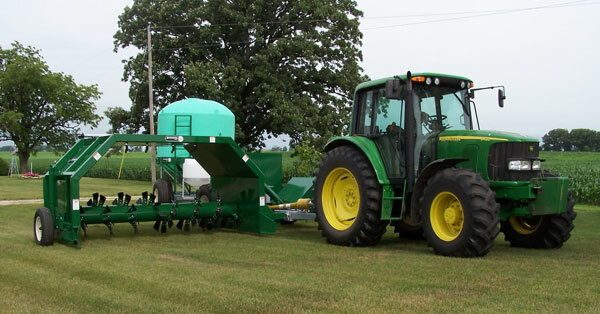 The design of Midwest's Aeromaster series of compost turners has been revised and improved again and again, Blosser said, by using techniques such as time-lapse photography. Success, they have discovered, comes down to an effective particle management system. “The greater the control that you have in treating each particle with your compost turner, the better you can end up making good quality compost. This then allows for the ability to producing humus from the good quality compost. So this becomes a particle management system, and that's how our turner has an advantage over anyone else,” he explained. Particle management is essential for the best disintegration process of organic materials and consequently better suited to building up the disintegrated materials into humus, according to Blosser. This efficient particle management system also has the added benefit of creating the fastest composting processes possible. Amazingly the above goal required less horsepower than other compost turners on the market. Midwest's smallest Aeromaster compost turner, the PT-120, can process over 1,000 cubic yards of material per hour, and their largest, the SP-170 can process over 2,400 cubic yards per hour. An equivalent-sized loader, which was the standard tool for composting 20 years ago, might only process between 60 and 500 yards an hour respectively, depending on the size of the bucket. As Midwest continues to grow, Blosser said that he is maintaining his original values of creating a company that people love to work for, and have satisfied customers to work with.